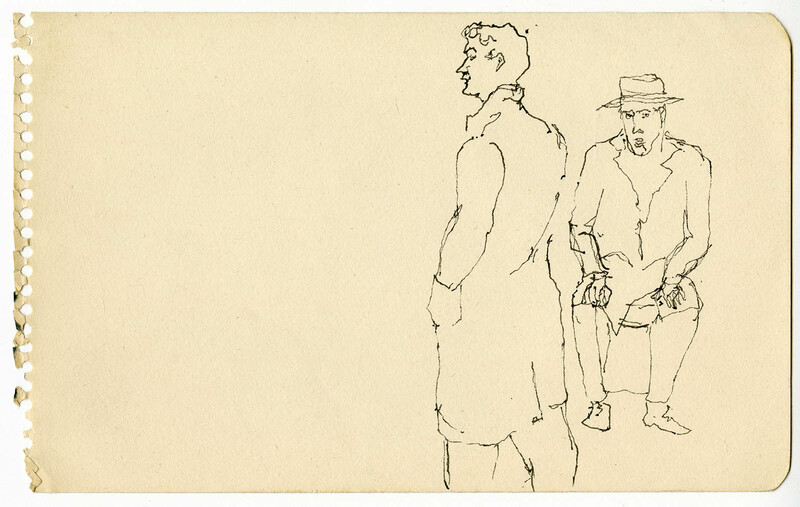 In the 1940s, before he found acclaim as a painter, Alex Katz, now eighty-nine, was a student at Cooper Union. 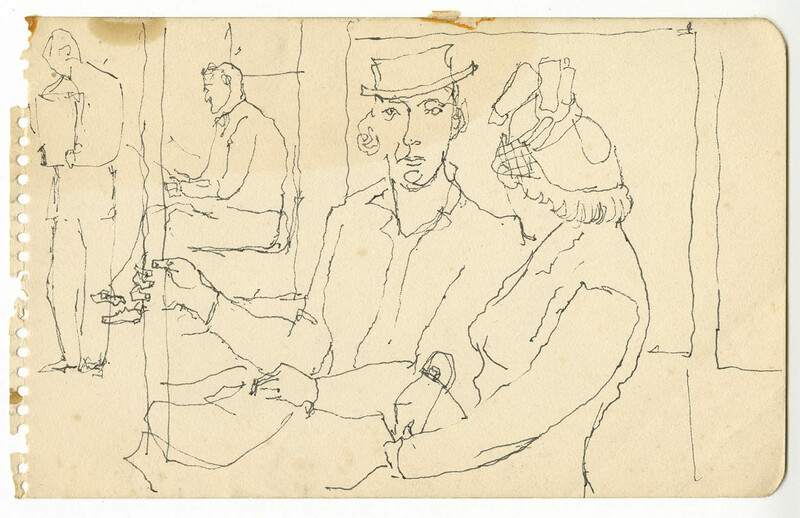 Uninterested in the models his teachers asked him to draw, Katz rode the subway for hours, often into the early hours of the morning, sketching the passengers who caught his eye. 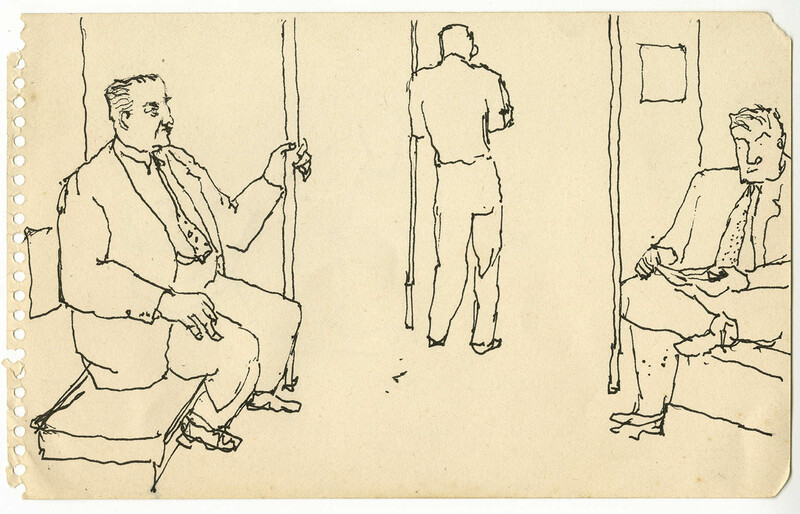 Through June 30, Timothy Taylor Gallery is hosting an exhibition of his subway drawings. 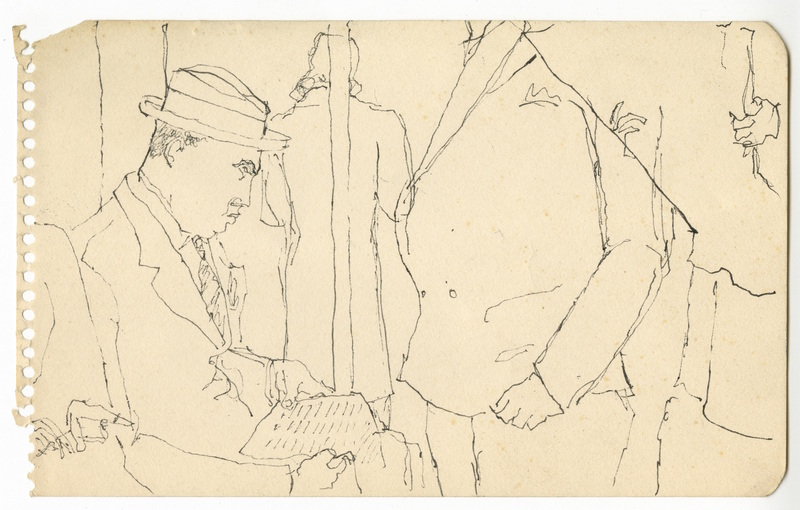 Alex Katz, Crowd on Subway, ca. 1940s, pen, 4 7/8″ x 7 7/8″. Subway Scene Couple, ca. 1940s, ink, 4 7/8″ x 8″. Two Men, ca. 1940s, ink, 5″ x 8″. Three Men on the Subway, ca. 1940s, ink, 5″ x 8″. Man with Newspaper on the Subway, ca. 1940s, ink, 5″ x 8″. Man with Hat Leaning on Balcony, ca. 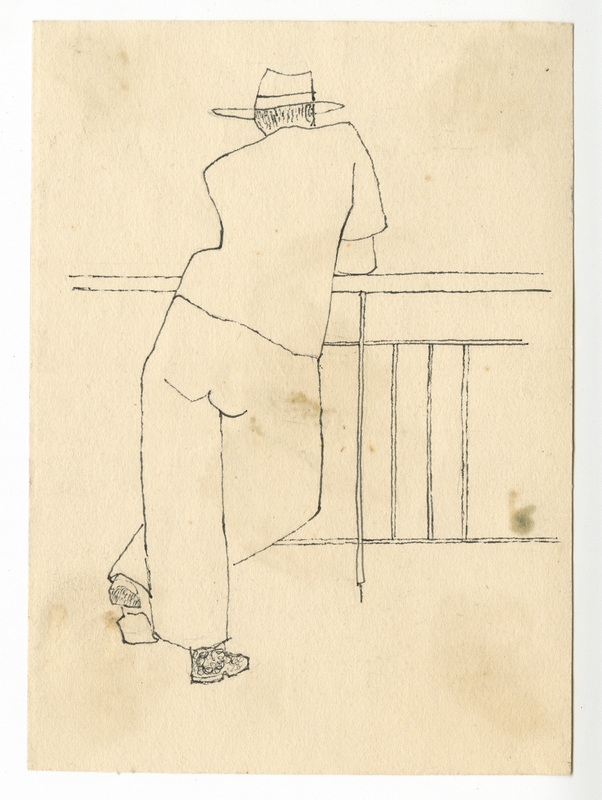 1940s, ink, 6 1/4″ x 4 1/2″. 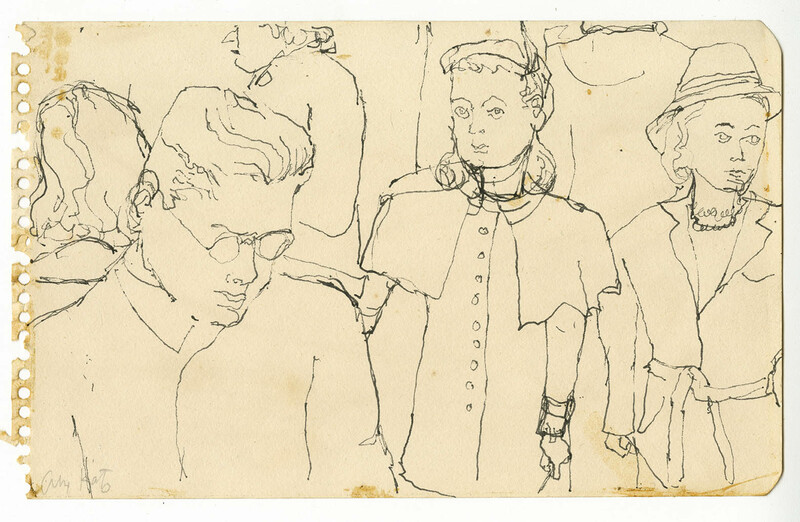 All images © Alex Katz / DACS, London / VAGA, New York Courtesy Timothy Taylor 16×34.